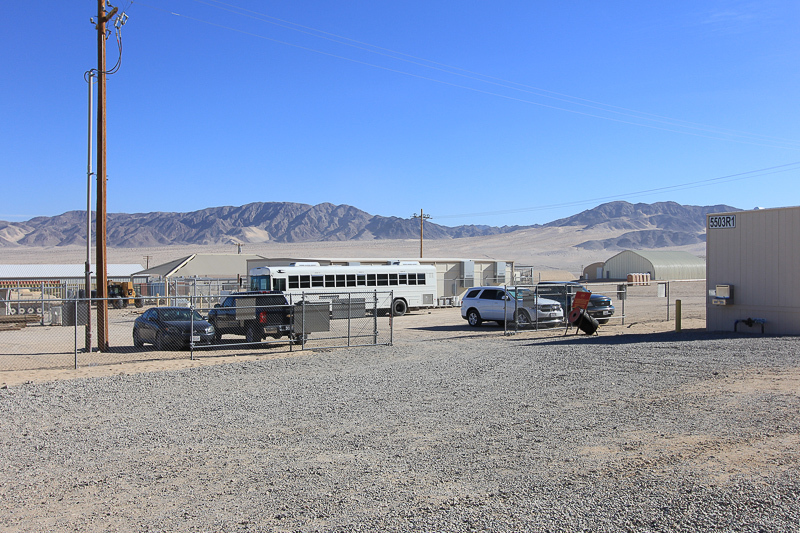 October 23, 2014 - Today's adventure brought us to the Mojave desert for a day long tour of the Marine Air Ground Task Force Training Command, located in Twentynine Palms, CA. The base is currently home to one of the largest military training areas in the nation. 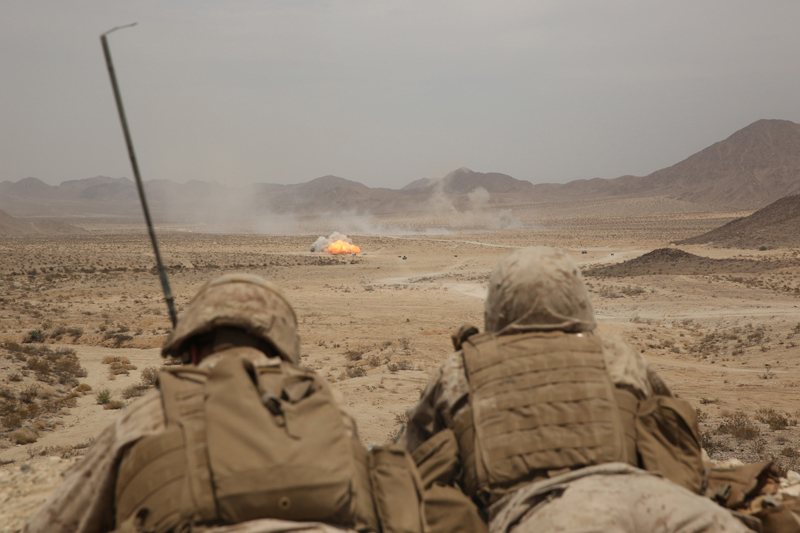 The Mojave Viper program was the model of pre-Operation Iraqi Freedom deployment training. 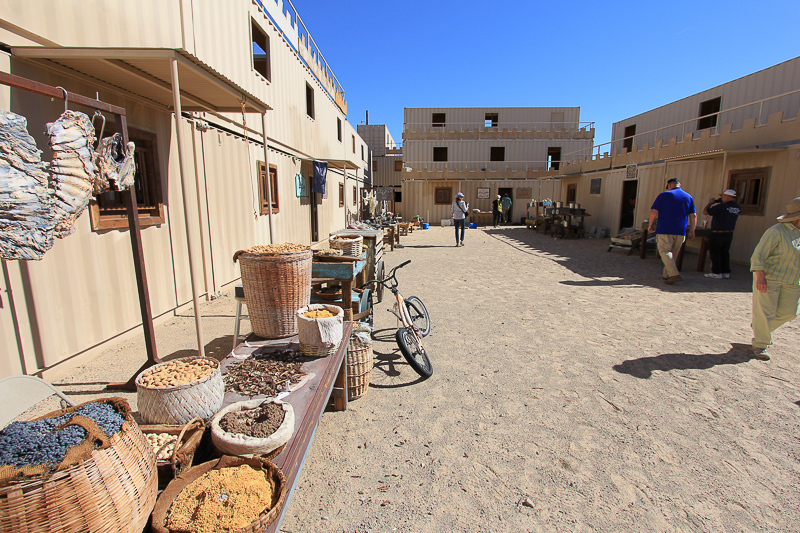 Live fire exercises, artillery, tank, and close air support are used for training, in addition to the sprawling "Combat Towns," which are replicas of Middle Eastern villages, complete with mosques, native role-players, an "IED Alley," and other immersive touches. The entire base covers 932 square miles, which is about the size of the state of Rhode Island. 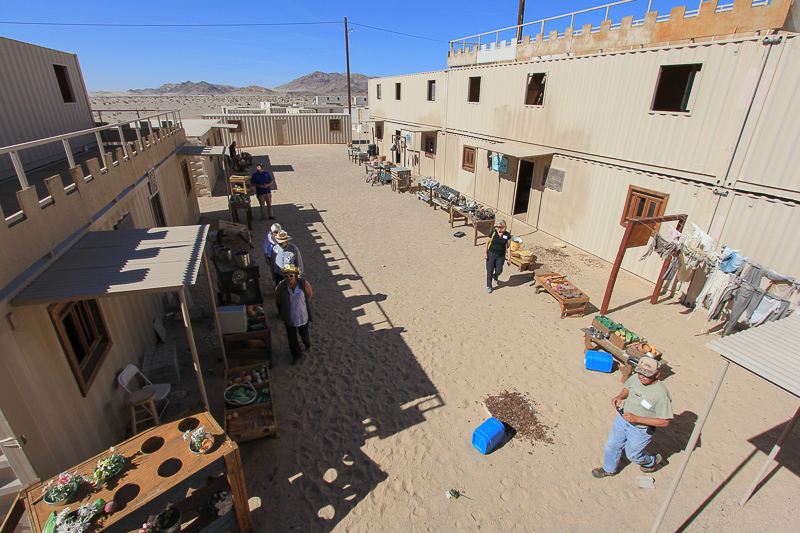 Our tour guide was retired Marine Officer Michael King, in the blue shirt, shown here outside one of the three "urban training villages" located on the base. The village that our group "inspected" had clues leading to the conclusion that bomb-making was being done here. 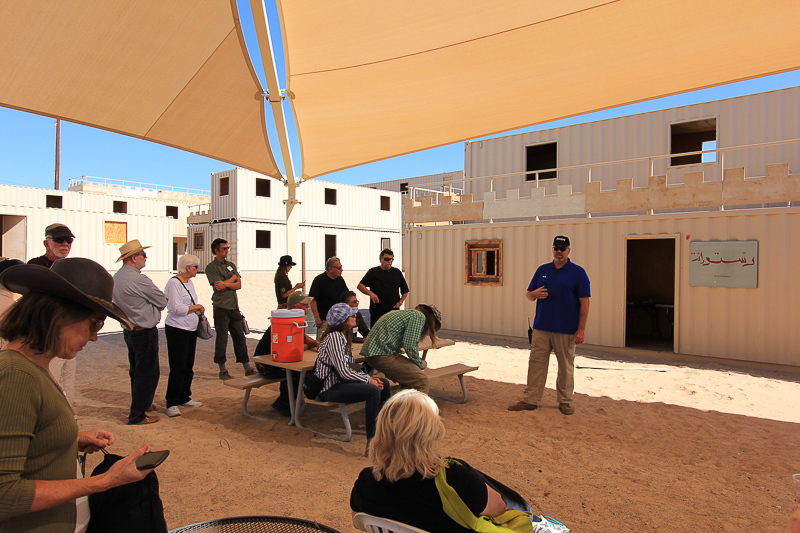 As part of the tour, we were able experience several of the training modules used by the Marines. The first module that we experienced is used for the prompt evacuation of one the Marine's IMV's (Infantry Mobility Vehicles). 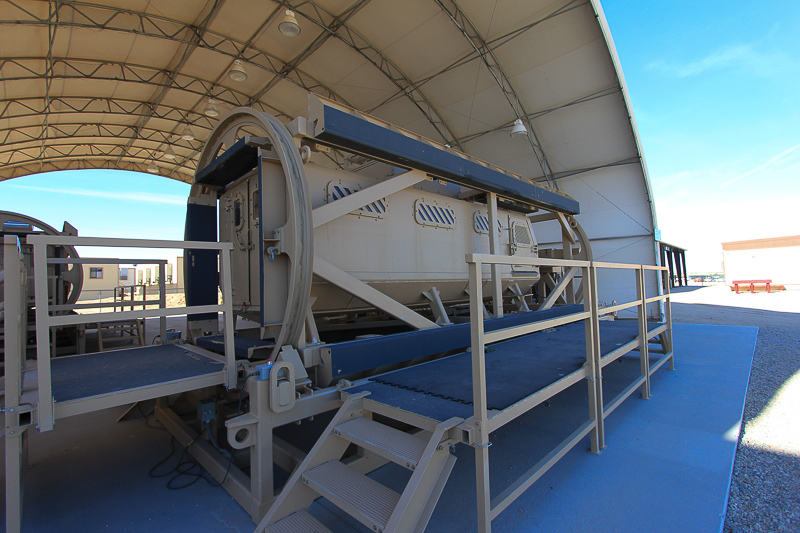 The actual V-hulled armored personnel carriers weigh about 60,000 pounds compared to the 4,000 pound Humvees. Because of their high center of gravity, they are prone to rollovers. 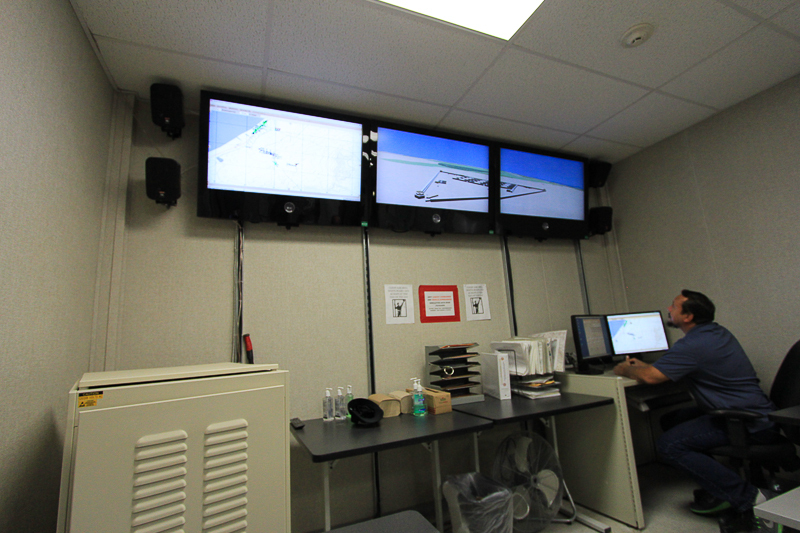 During the test, we were subjected to simulated rollovers of up to 90 degrees. While another group was inside, this photo shows the exterior in a 45 degree position. 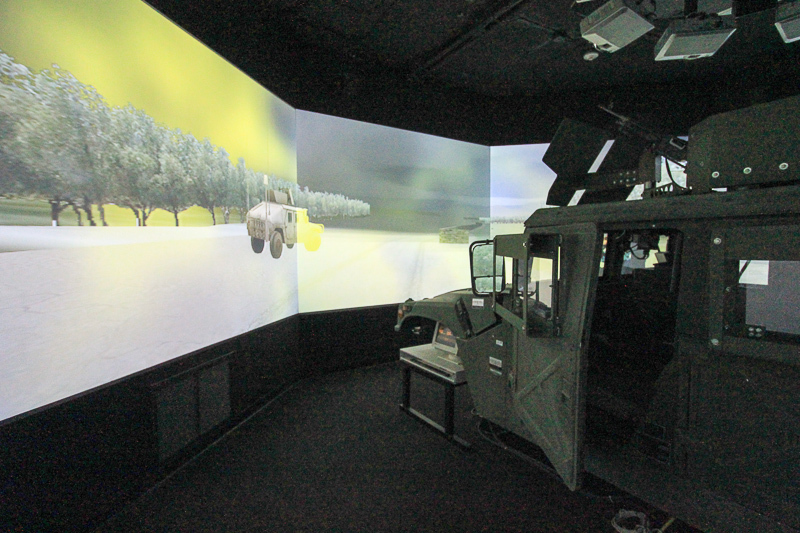 The second module we experienced was an extremely high tech video game called the Combat Convoy Simulator. During this exercise one person "drives" a Humvee and six others surround the Humvee equipped with various military assault rifles. 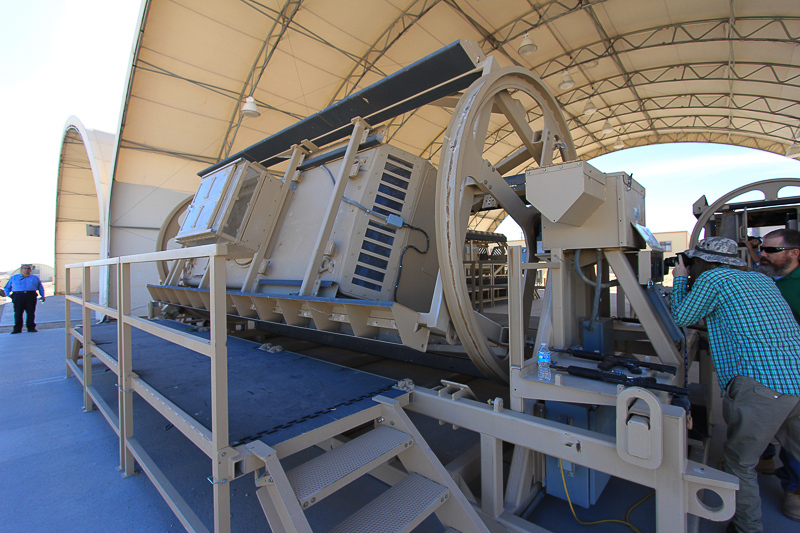 Each rifle and the controls on the Humvee are linked by cables and lasers to the artificial desert environment we were "driving" through. Along the way, we were met by both insurgents and non-combatants. All of our actions were recorded and subsequently analyzed in the Command Center. 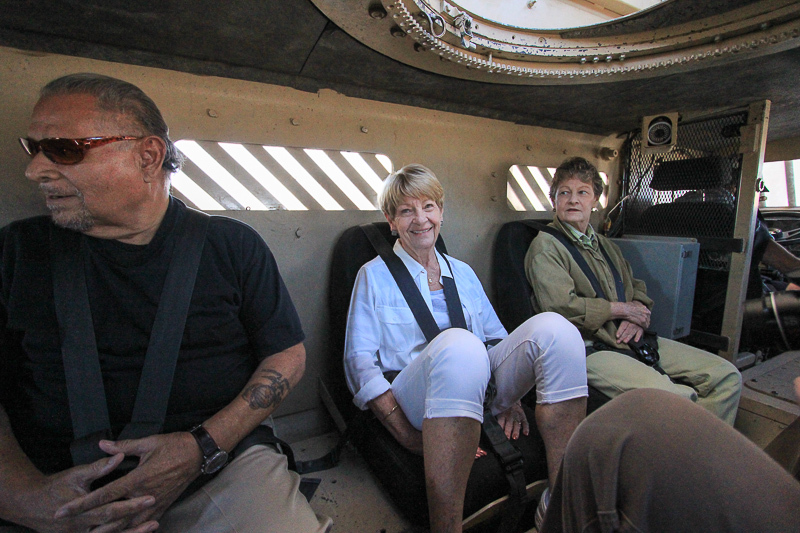 I was lucky enough to both drive the Humvee as well as shoot some bad guys. It was a 360-degree environment. 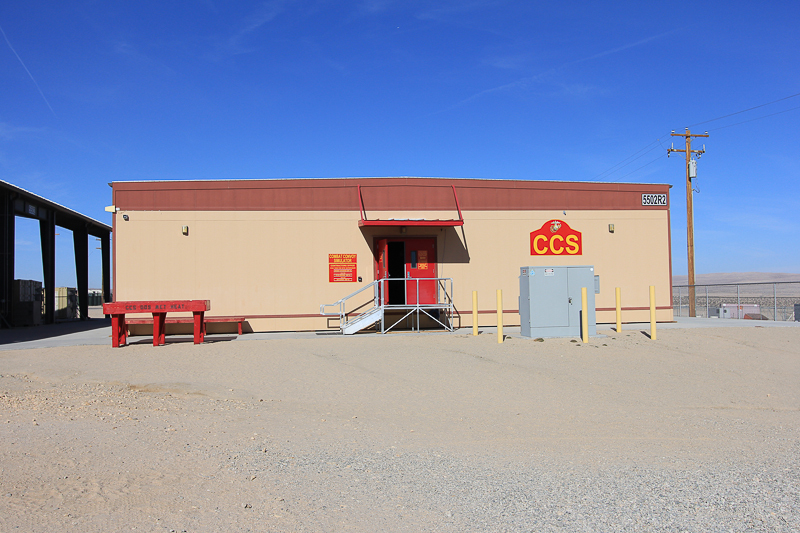 To see a Marine authorized video of the CCS, click here. We didn't get to see much live action while we were there, but these pictures give a sense of what it must be like. 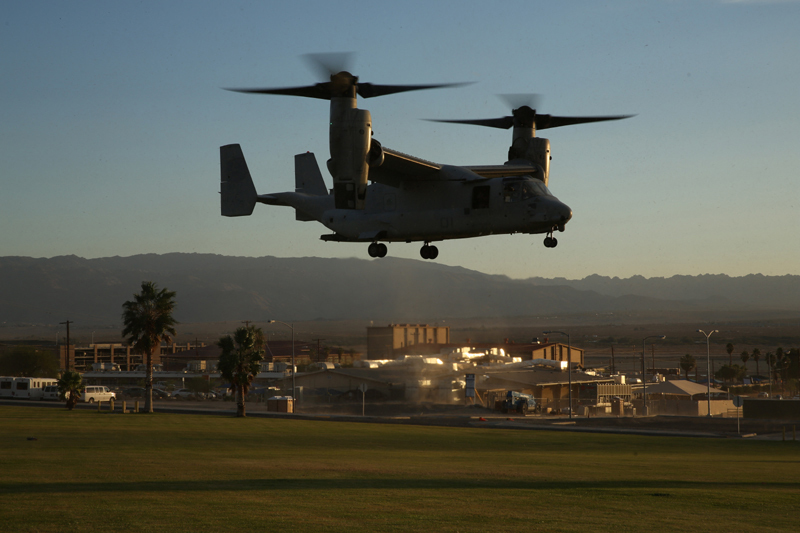 The Osprey was photographed by Pfc. Thomas Mudd. This artillery photo was taken by Cpl. Charles Santamaria. Mike King kept us entertained all day by talking almost nonstop for seven hours, so we certainly appreciate his efforts as well as those other staff members who made our tour memorable.